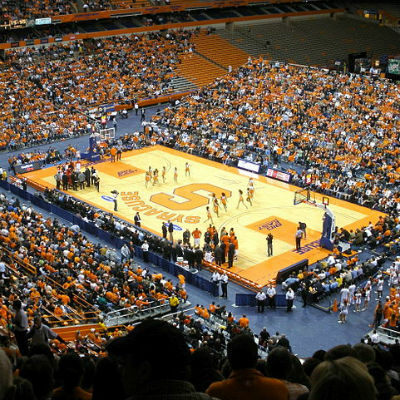 Brad Bierman: When you have three and a half decades of a winning tradition equaling 11 national championships and 22 consecutive trips to the NCAA tournament semifinals, the expectations of devoted Syracuse lacrosse fans is perpetually focused on the Final Four and Memorial Day weekend. But those annual lofty outlooks don’t mesh anymore with a sport that’s grown from coast-to-coast, sprouting plenty of new locales of quality talent popping up in states that used to sound strange, and creating Div. I parity among schools from every region. So for the 2016 Syracuse lacrosse team to just miss out on making the grand stage of the Final Four in an NFL stadium, it’s quite an accomplishment, and nothing to be ashamed of in losing to this year’s top seeded team, Maryland, in the quarterfinal round. After an embarrassing blowout loss to Notre Dame on the March weekend many of the program’s best-known names returned to celebrate a century of Syracuse lacrosse, and downtrodden after an ugly OT loss to struggling upstate rival Cornell 10 days later, the Orange were seemingly left battling for even an at-large post-season bid. Credit the coaching staff and team’s patience and perseverance, along with a goalie change to redshirt junior Evan Molloy, to sweep the ACC tournament for the second time in three league seasons, and host a first round NCAA game. Dan Brannigan: Whenever the Syracuse men’s lacrosse season ends before the Final Four, it’s easy to call it a disappointment. That’s a credit to the program’s history—10 national championships and 26 Final Four appearances. But it’s a disservice to the current landscape of college lacrosse, this team’s expectations and the team it faced on Saturday to stick with the term. 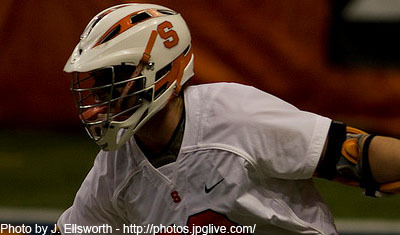 Coming into the season, the Orange were trying to replace two starting attackmen and three first-line middies. 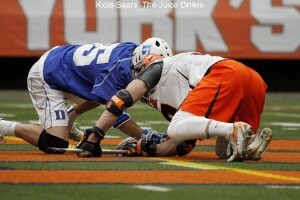 The team recovered from a midseason swoon to win the ACC championship and reach the quarterfinals. Thanks to what may have been a bit of an unfair seeding, it came across the overall favorite in Maryland, which received stellar goalkeeping and a balanced attack to beat Syracuse. The Orange had their chances thanks to dominating the faceoff X and the ground ball game but that revamped offense just couldn’t get the job done.